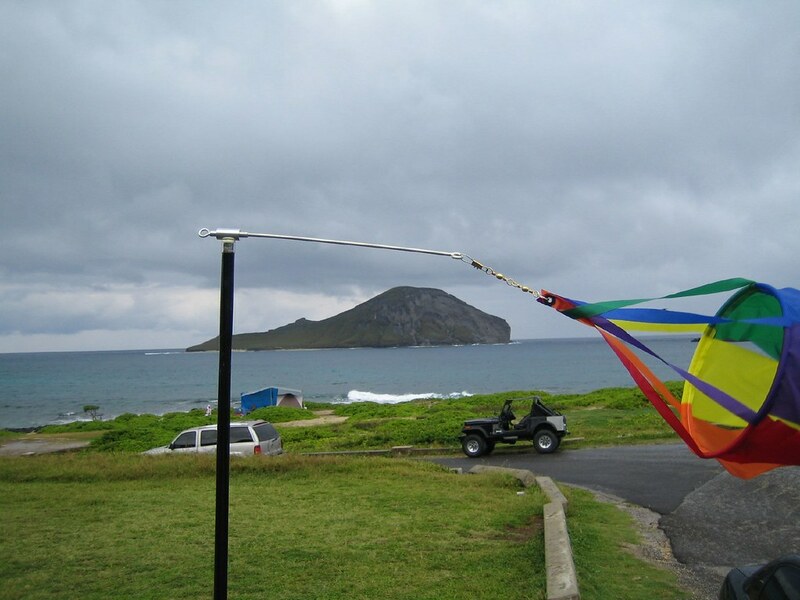 The new windsock is up and operational at Makapuu! I took pictures of it just in case it was stolen before anyone saw it. The pole is pretty nice looking (unfortunately) and very sturdy. It's still bendy at the top and should be fairly glider friendly. 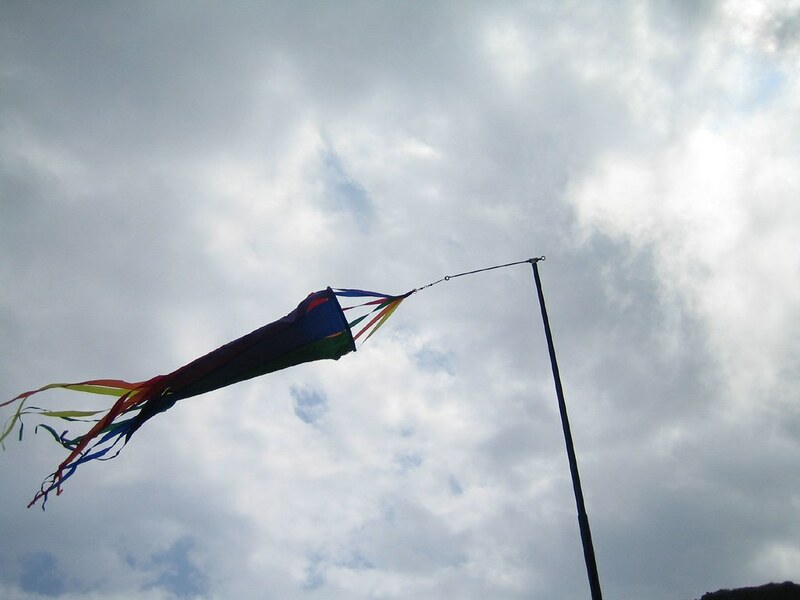 I've included pictures of it stowed, half mast, and full up. At the suggestion of Peter, I drilled out the screw heads to prevent people from taking the pole with just a screwdriver. They will need to drill the screws out if they want this sucker. 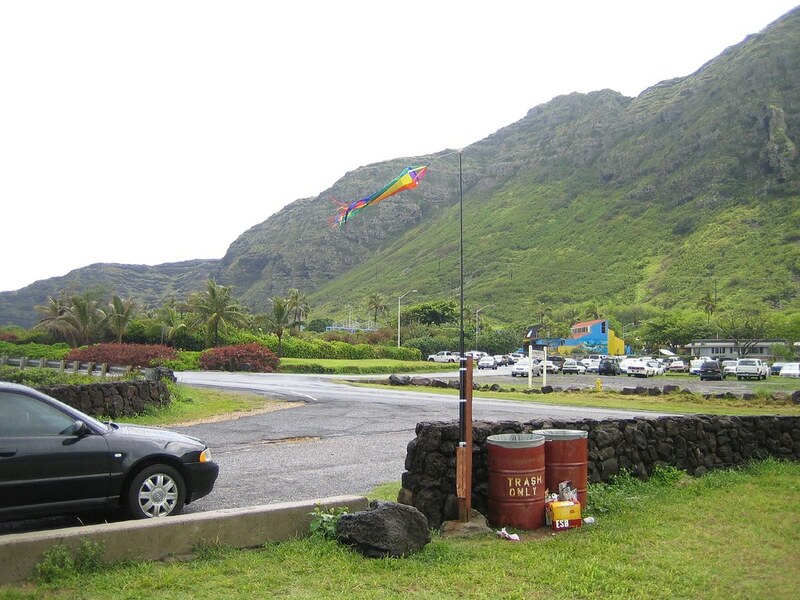 The pole is also easily collapsible, which will come in handy for our long overdue typhoon.